Set of 3 Clear glass nail files: large, medium and small. Length 195mm/7.68 in, 135mm/5.32 in and 90 mm/3.54 inches. Czech made. Transparent Glass nail files set of 3 sizes: foot, medium and purse size. Perfect set of high quality nail files for manicure and pedicure care. All files are presented in protective plastic cases. 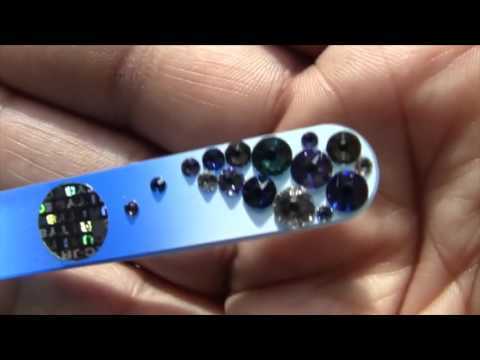 All glass nail files are made from Czech tempered glass and are ideal care of personal hygiene of your nails. These glass nail files will serve you for a lifetime; we give unlimited guaranty on abrasive surface. Czech made glass nail files prevent nails from splitting and do not damage them; take good care of your nails with these gentle care glass nail files. Return to the glass nail files sets.